Darryn Hakof has been appointed global marketing director for Pernod Ricard Winemakers, following a reshuffle of its management team. Hakof has nearly 20 years’ experience within the Pernod Ricard Group and holds a Bachelor’s Degree in Economics and Accounting from the Flinders University of South Australia, and an MBA from the Adelaide University. Since joining Pernod Ricard in 1999 as a management accountant for Orlando Wyndham Group, Hakof has worked in various global roles in business and brand development across the Pernod Ricard group. 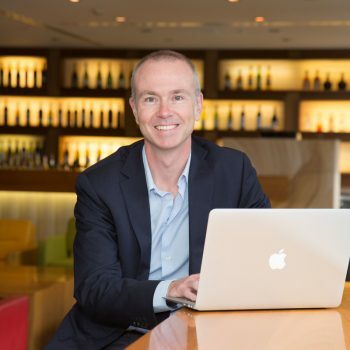 He was appointed business development Manager of Pernod Ricard Pacific in 2005, before relocating to the UK as International Business Manager UK/Europe in 2006. He held the position of international brand development director of Pernod Ricard Winemakers (formerly known as Premium Wines Brands) between 2008 and 2011, and later tranferred to the The Absolut Company that same year as vice president, brand development, based in London. Having returned to Australia in 2014, he took on the role of director of strategy and new business for Pernod Ricard Winemakers in 2015, following a year spent as a self-employed business development consultant. In his new role, Hakof will continue to report to Bruno Rain, chairman and CEO of Pernod Ricard Winemakers and will remain a member of the Pernod Ricard Winemakers Management Committee and a Better Balance Ambassador, promoting diversity and inclusiveness within the business. Hakof replaces Anne Tremsal, who has been appointed marketing director of Ricard & Pernod based in Marseille. Pernod Ricard Winemakers’ portfolio includes Jacob’s Creek, Brancott Estate, Stoneleigh, Campo Viejo, Kenwood Vineyards and Graffigna.